Pan is a whistling carafe that plays a musical note when you serve a drink! 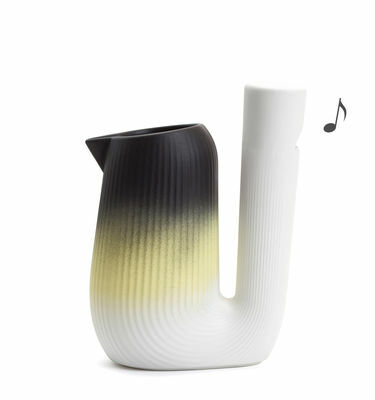 Made of ceramic, the whistle built into the handle of the carafe sounds due to the movement of the water, a pleasant sound thus accompanying the service. 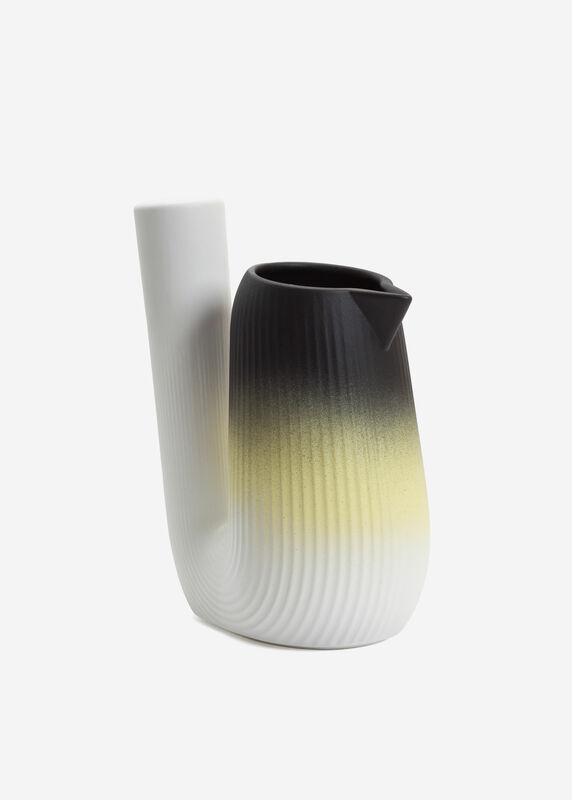 The carafe is inspired by pre-Columbian ceramic ritual vases found in Peru. The zoomorphic aspect of Pan is a nod to the symbolic figures that decorated these objects. The degraded enamels suggest the use of varied coloured drinks. 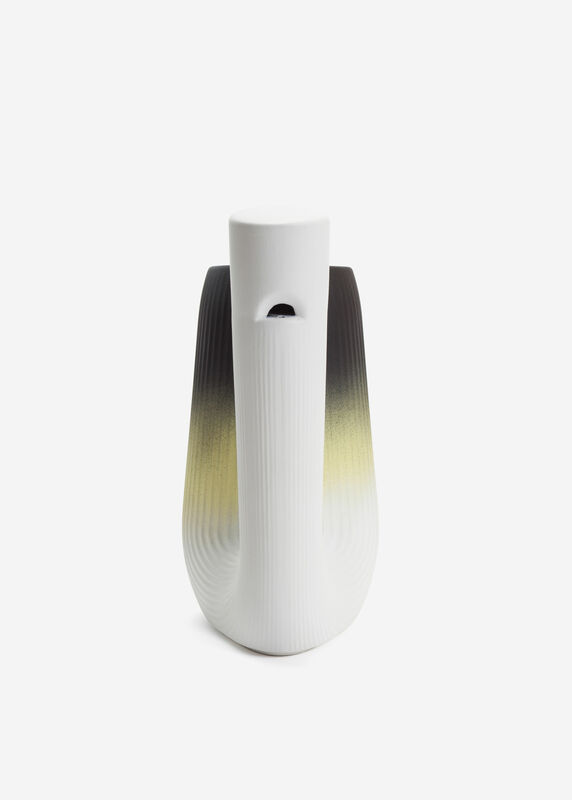 This carafe is the work of designer Pierre Charrié in collaboration with the studio ''ça va faire du bruit''. 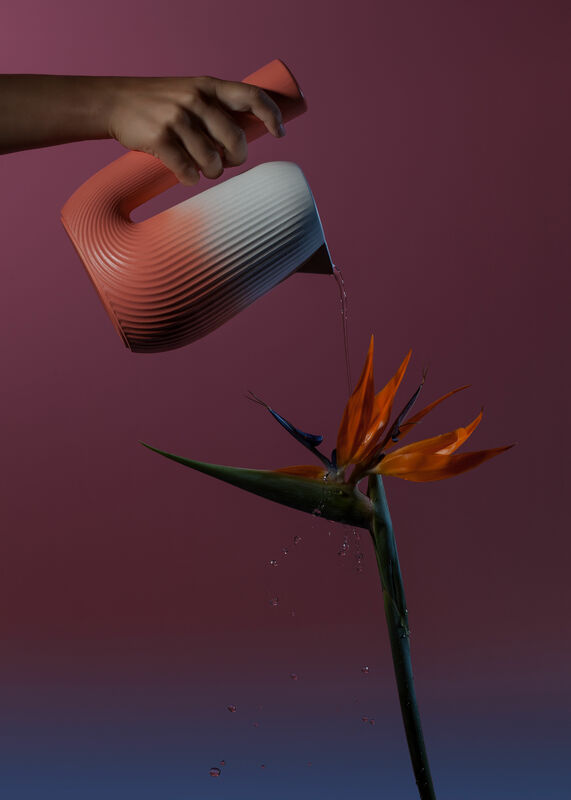 Pierre Charrié conducts research work on the sensory dimension of everyday objects. He is interested in how materials, sounds or gestures can create new interactions and question uses. 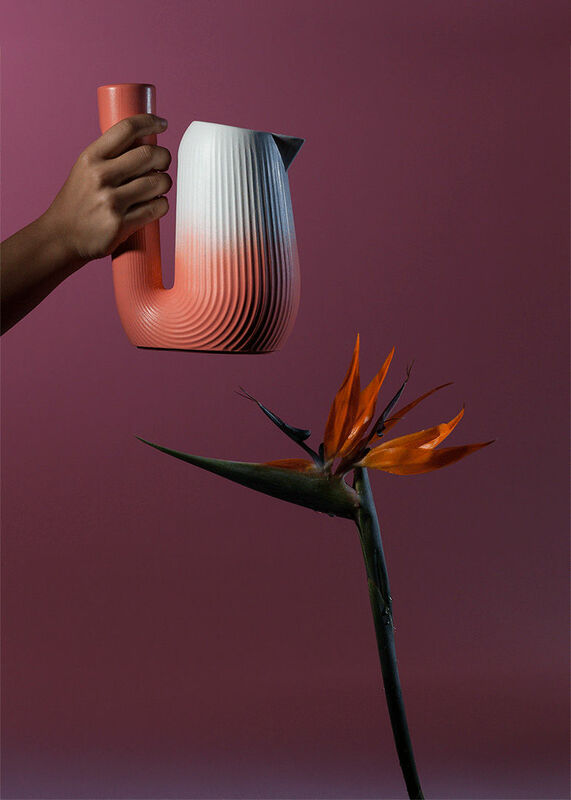 ''Ça va faire du bruit'' explores the fields of the senses to bring new materialities to sensory objects. Noise is a living texture composed of several sources, with grains and various materials. Sound is heard, is perceived: it’s dynamic, poetic, joyful. It is a heterogeneous, unifying element.